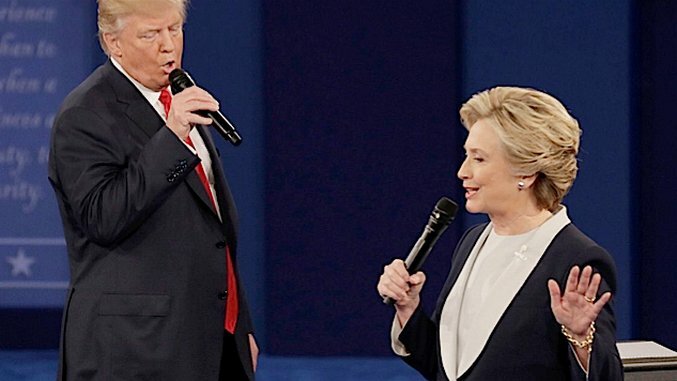 It all began with Twitter’s Moochie X, who saw a strange picture of Clinton and Trump from last night’s debate and imagined them singing love songs at one another. From there, the Internet took it away. The actual debate may have been horrifying, but the set of memes that became known as #DebateKaroke? Those were pure gold. Check out the funniest examples in the gallery above, and help yourself forget what they were actually saying.